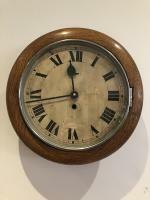 A fanatstic Double Vienna Victorian wall clock. 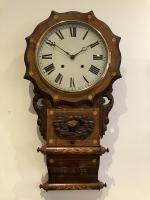 This clock is made of mahogony and is dated C1880. It has a porcelain face which is excellent condition. The clock strikes on the hour and the half hour.